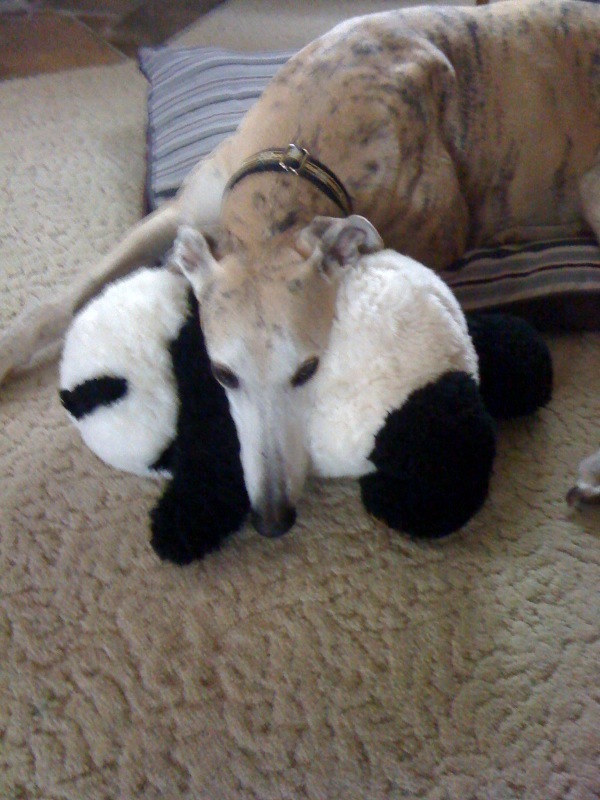 We are sad to report that yet another greyhound crossed the Rainbow Bridge. Rob Robinson, who adopted Demetri, called us to tell us that Demetri had not been feeling well and seemed to be in some distress. He took Demetri to the emergency animal hospital only to lose him there. There was nothing the veterinarian could do to help him. Rob and Greg are quite devastated over the loss of their beloved Demitri. They have two other greyhounds, Heidi and Danti. Rob adopted Heidi from our group several years ago. Rob, along with his (and our)friend Paula, helped our group for a long time by hosting meet and greet events and doing other work for our group. Both had to step back because of medical problems, but they stay involved with our group and are very much a part of our FFGR, Inc. family. They are very devoted to their greyhounds and have been in greyhound adoption for many years. We know that Demetri had a wonderful home. He was cherished by Rob and Greg and we know that they will grieve a long time for their sweet boy. Godspeed Demetri, you will be missed very much.